Some video games take place in military bases, or even whole cities. But few immerse players in entire, fully realized fantasy worlds. 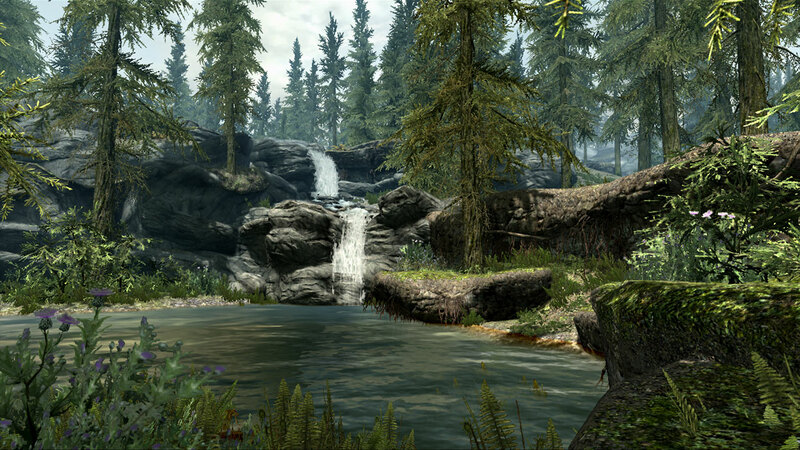 The world of Skyrim represents new levels of immersion and realism, on a vast scale. The Elder Scrolls series of roleplaying games started in 1994 and with each iteration the fantasy settings got larger and more detailed. With the latest title, Skyrim, Bethesda Game Studios has created a more lush, natural world and a more intricate society for players to explore. The game’s director, Todd Howard, tells Fast Company about the team’s vision for the game’s world, and some of the tiny details that players can discover while exploring it. Fast Company: When making the fifth game in a series, how do you keep it fresh? Todd Howard: We start over each time. We don’t look at the previous game and say, “What can we add or change?” This series has been going on for a very long time and we give a lot of space between each entry. So we do benefit from the fact that the technology and the hardware we do each game on is very different. We start with what we want the player experience to be. We don’t want to define our games by a list of specific features, but more on how the game should feel. And when we design worlds, the world to us is the main character. It’s a game of exploration. So we start with, “How does the world feel? How does it make you feel as the player?” And ultimately that drives what you might want to do in that world. 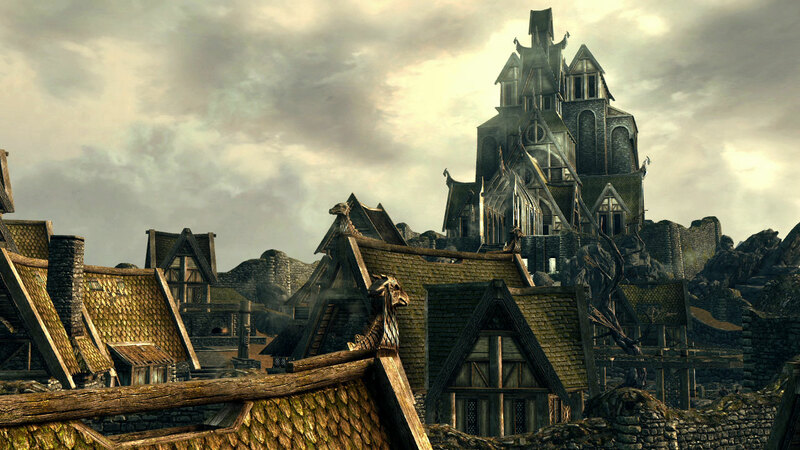 How large is the world of Skyrim as compared to 2002’s Morrowind and 2006’s Oblivion? It’s hard to say, because the scale changes. If you look at the actual land mass, it’s about the size of Oblivion, which is quite a bit larger than Morrowind. But there is significantly more content in Skyrim. The last game we did was Fallout 3, so we were coming off of that, finding our way in terms of how people experience a game like this that is so wide open. Comparing it to Fallout 3, we have about five times the amount of content. So it’s a lot. It’s more dense, it is also more reactive to what you do. 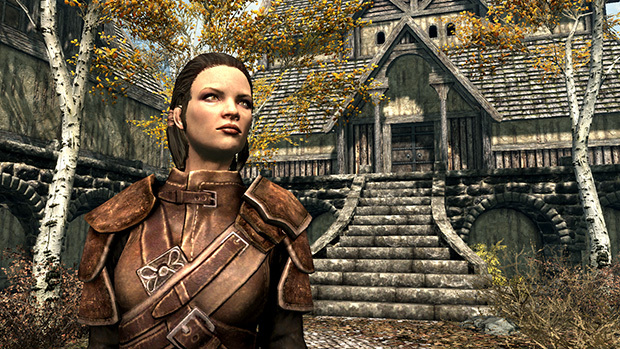 So if you do particular things in Skyrim, there are other events or quests that we will push on you. And to have that happen, we need a larger repository of them. There is more little nooks or more dungeons, more activity when you walk a road or take a path. As we make the game, we try to find the pockets, “Oh, this is a little bit slow; I’m kind of bored here. What would fit well?” It’s almost like we paint the world with these layers, over and over and over again. Sometimes we are adding more, sometimes we are removing a little bit. There was a state of the project where we felt we had overdone the mountains and it was too rocky. It made it feel too claustrophobic sometimes. So we went through and de-rocked the world. How do you create the different towns and areas and give them all unique feels and cultures? We have a big team of artists and designers and we started with coming up with the world map. Then we talk about how each particular group in the world would live. And then that goes through a series of concepts artists, who will draw lots and lots of images on how those people live. We discuss it, and then that goes to 3-D artists who build it. Once the space is built, during that time, there is usually a designer who is writing up a site guide–they write the names of all the people and what they do during the day, where they go to eat, and what their job is. As that area is being built, designers are going in with our custom tools and making those things happen. It’s like playing house in a big virtual world. Which is more important, building this logical world or creating a location for gameplay? It’s a bit of a mix. The world does come first, and there are lots of ways to make gameplay in things. And once we decide this is good gameplay, there are various ways to drive players toward that. You have forks and plates in the world. We debated whether you should be able to pick those up. There are certain things that have good gameplay: magic items, and gems, and gold, and then you have all these forks and plates and cups and everything you would find in a regular world. So we debated whether we should let you pick those up, because ultimately they are worthless; they are bad gameplay. But if we don’t let you pick them up, it doesn’t feel right. So the player self-manages and they realize plates are useless to carry around. We do tend to design the world and make it feel right, and then we can drive the players toward the good gameplay. Another good example is that we were doing these animations to make the town look alive. People would cook or chop wood. And we built these for just the people to do, but then we figured out that with a little extra work we can make it that the player can do all of these things. And then we find gameplay reasons for why we would want to chop wood–you make a little bit of money. Oftentimes in a game like this, when you are playing for a long period of time, I think the player wants some diversions. They are good self-managing their time–they just went to a dungeon that was very intense and they are like, “I would rather just go to town and relax.” Even when I play a game like Assassin’s Creed, I will sometimes just sit at a bench and just watch. Because I want a break. How much detail have you put into plants and animals, lakes and mountains–the natural side of things? A lot. Coming off of Fallout 3 which had very little of that, the world was destroyed. We came into this with more joy to create trees, and plants, and flowers, and waterfalls, things that are more beautiful to everybody. And now when you pick the plants you see them being removed. This game has herbalism in spades. And then you feel guilty if you walk by a plant you could’ve picked. You are like, “I guess I will turn around and pick that.” We have a working ecology: foxes that run around, that get hunted by wolves, that get attacked by mammoths. And they all have different kinds of meat you can get out of them, and then cook those meats. So the game works on two levels: you have the minutiae that I just talked about, but then you have these big battles with dragons. You have that, and everything in between. Speaking of dragons, there is a dragon language. How was that created? We knew we were going to do the dragon language, and it was going to be a gameplay device with these “shouts.” I don’t know if you have heard the music for Skyrim, where you have this barbarian choir singing. We wrote this language so that the choir would sing the music in this ancient language. We wanted a song that went with the Elder Scrolls theme, and then these words of power you could shout. And out of that, the language was slowly built. And a lot of it is from how the words of power actually form magic. 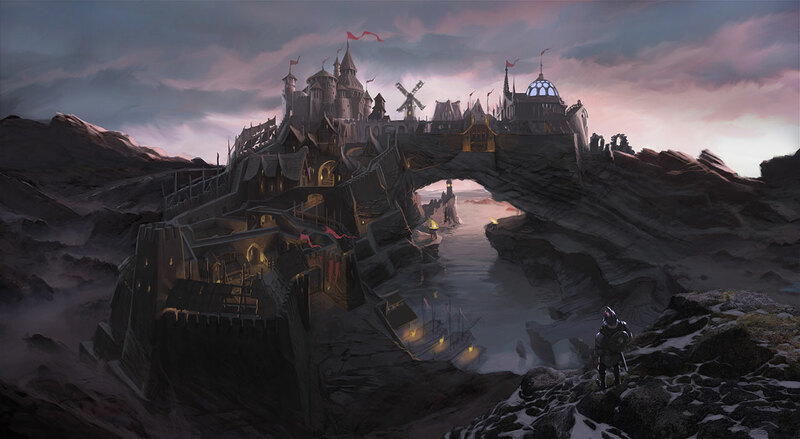 When building cities, ecologies, cultures–how much do you balance medieval realism versus a fantasy world? We do try to skew toward whatever historical references there are. That grounds it in a reality for what it is. When you enter the world and you see this farming village, it feels real to you. We try to keep the fantastical elements so that when they arrive on the screen, they feel special. One of our touchstones was this idea of epic reality, things that humans on earth could’ve built, like the pyramids. 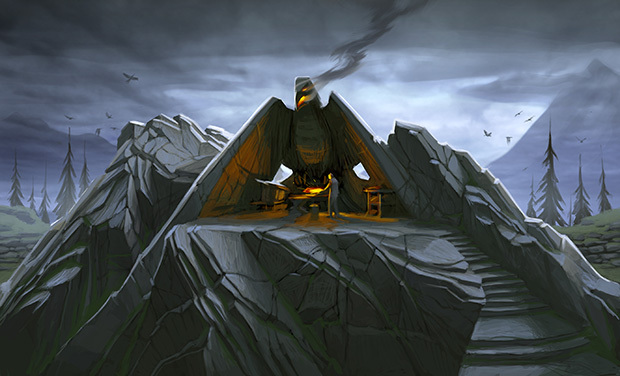 But you look at them and still go, “How did somebody build that?” We looked at this idea of this ancient Nordic society that built these giant temples to dragons. And they feel authentic for what they are, as opposed to some very high-fantasy, super-magical structures. Are there any details about the world that would surprise people? First, it’s all there. Nothing in it is just a backdrop. A lot of games will have a 2-D backdrop for the setting of the game. All of ours is there, rendered in 3-D so you can go anywhere you want. So you get those really big details. And then there are so many tiny details. If you go in the rivers, you can see fish swimming. The river has flow. Probably the tiniest one that very few people will notice, is that on some of the logs, if you look really close, every once in a while there are ants crawling around on it. Second, the world that you see, you have all this art. But then there is another version of the world, a more simplistic version than the Artificial Intelligence in the game, the AI that the characters use to maneuver. So there are actually two worlds, one that is drawn, and one used for collision and navigation, “I am an artificial intelligence, where can I actually walk?” Because the resolution of what is being drawn on screen is so complicated, that if the AI had to look at that it would be too slow. So we actually have a whole other version of the world running as well. We did it in Fallout 3 as well. Oblivion didn’t do it to the extent we did in Fallout and Skyrim. Skyrim does it the most because the world is so much more bigger than Fallout. When people sit down and play it, they will be surprised by how much stuff is in the game. No matter what you find, you feel like, “I am the only one that found this.” And that’s what we want you to feel, even though clearly other people probably found it. But, the moment feels unique. That’s how you are supposed to feel. Follow Fast Company on Twitter or the author @khohannessian.